In a life of constant stress, madness and chaos, you need a day or two off. And on that day off, you need a pillar of support. A shoulder to lean on, if I may. A listening ear. Yes, what you think I’m implying is absolutely correct. These 3 ingredient Nutella Brownies are all the support you need when you take a day off from your chaotic, stress full lives. Their super fudgy interior, crunchy exterior, smooth chocolate hazelnut taste and needing only one bowl to clean up after are the reasons this brownie transcends its duty of just tasting brilliant. 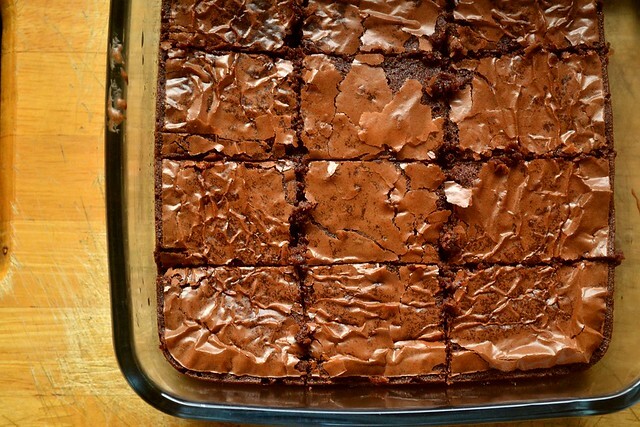 This brownie is so talented, that it takes you away from your day. It engulfs you in a warm hug. It also listens patiently when you rant about the obstacles of the week. Colourful foods win everything. They win the best looking dish award, the most stares and wants on the dining table and they win life in general. The fact that these colourful foods happen to be the most healthy things to ingest is just a happy coincidence. Iced Coffee lover. Impulsive book buyer. Will cook to save her life.